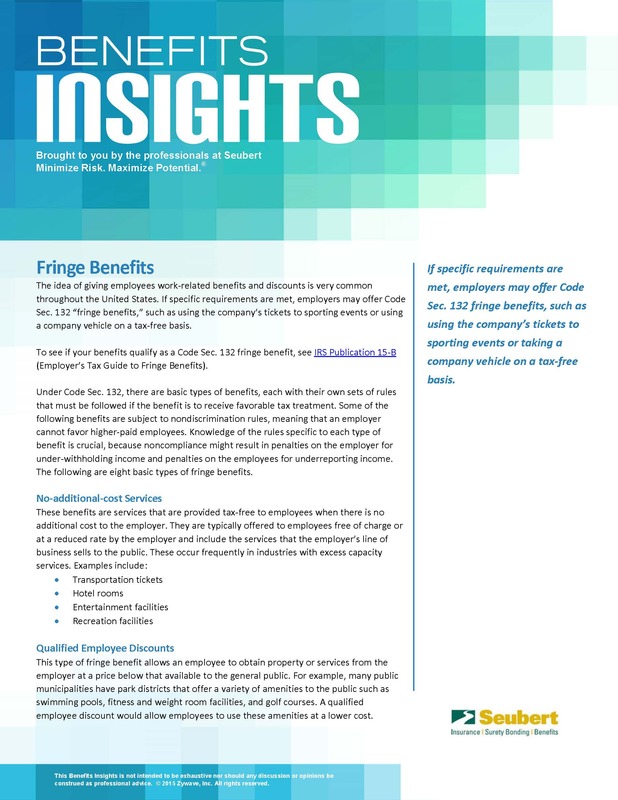 Quick, condensed employee benefits news and information to help you and your team stay in-the-know. For when you need a little more information or guidance on a particular topic, here are some toolkits to review. This 1095 Reporting Toolkit outlines what you need to know about 1095 forms and guides you through employee communication efforts. This document has been updated to include a new timeline for 2018. This Benefits Toolkit examines the impact of opioids in the workplace and offers suggestions for curbing their dramatic rise. Contained within is everything your clients need to address this epidemic, like employee communications, checklists, sample policies, social media postings and much more. This toolkit examines prescription drug cost saving measures for organizations and their employees. As technology has developed, so has people’s ability to overcome the traditional communication barriers of time and distance. This toolkit serves as an introductory guide to telemedicine. It is not exhaustive and is intended to be used for informational purposes only.